PAROWAN – Just west of Parowan City a major construction project promising power for over 18,000 Utah homes is slowly taking shape on over 600 acres of land, which translates to a bit less than a square mile. 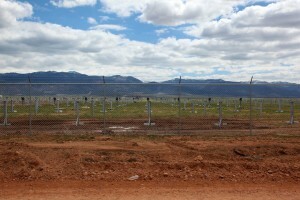 Behind the fences and barbed wire, long lines of 5-foot tall metal posts are being erected to support large solar panels that collectively are set to supply over 200,000 megawatts per year to Southern Utah. 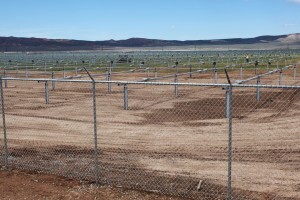 Automated fence post pounders can be heard pounding the aluminum posts into the ground to a tolerance of 1/16 of an inch, ensuring that all the solar panels will be at an even level. Scatec Solar of North America, a subsidiary of Scatec Solar in Oslo, Norway, is building the complex in conjunction with several general contractors to supply Rocky Mountain Power with clean solar power. 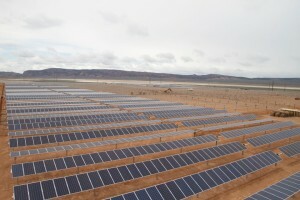 The internet company Google is providing tax equity, and will be a partner in the ownership of the complex, while Scatec Solar will be responsible for the operation and management. Tim Tennis, community liaison for Scatec, said 30,000 solar panels are already in place, with over 300,000 more to be installed by the end of December. The panels are expected to produce nearly 104 megawatts of power, which the U. S. Environmental Protection Agency estimates will prevent nearly 156,000 tons of coal from being burned per year, preventing nearly 145,000 tons of carbon dioxide emissions. Concerns that the solar panels would be an eyesore were dismissed. Half the land that was bought 10 years ago for this project was never used agriculturally, he said, so Scatec is adding to the tax base of the county by utilizing this land. The panels will turn with the sun in unison. Computer control will be used to align the panels east to west throughout the day for maximum sun exposure, and also will be able to turn the panels 90 degrees up and down, to avoid snow and water accumulation. Power distribution is expected to begin in December. 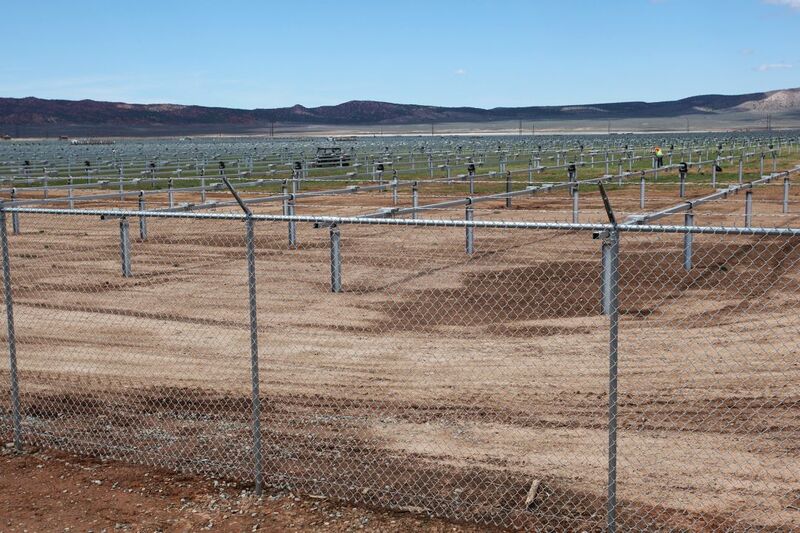 Tennis said that 210 million kilowatt-hours of power per year from the solar panels will be sent directly to Rocky Mountain Power for distribution to 18,500 homes in Iron and Beaver counties. A visitor center is planned for the project so residents and tourists can learn more about this project and solar power in general. Scatec originally budgeted $500 million for the project. Tennis said that number has shrunk to the current estimate of $188 million due to advances in solar panel technology, that current panels are much higher efficiency and 60 percent less cost than five years ago. 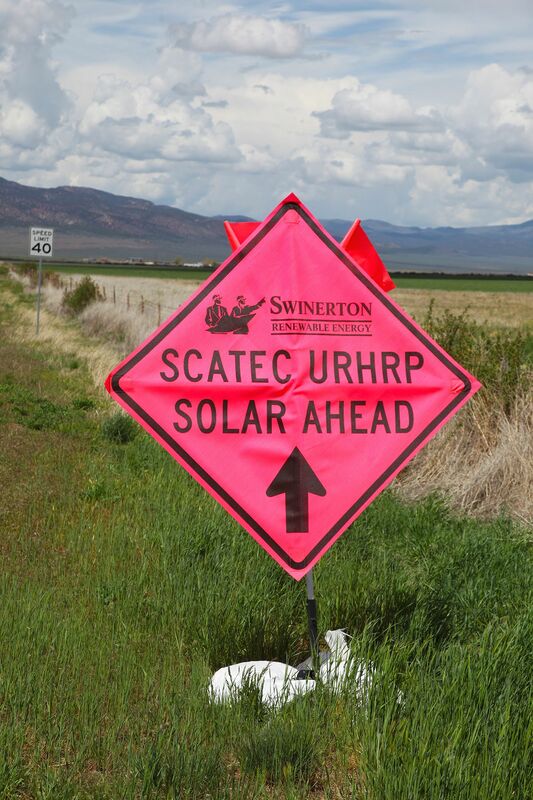 With 85 percent of the labor force made up of Southern Utah workers, that translates to 200 local jobs that Scatec and its contractors are supplying. 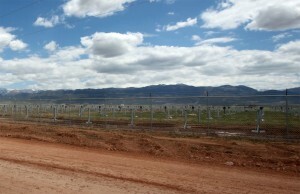 Workers from St. George to Beaver are employed at the site. Parowan resident Mike Adams was a little hesitant about the project, but ultimately said it would be good for the community — and him. Iron County Planner and Special Services Coordinator Reed Erickson agreed. This is one of 14 solar projects that are either under construction or in the planning stages for Iron and Beaver counties by various companies. 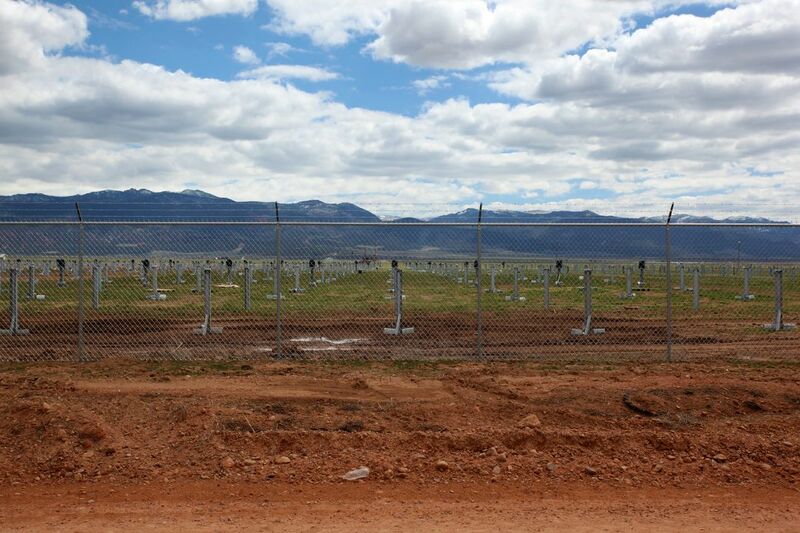 Scatec Solar plans another project in the Three Peaks area of Cedar City for 2016. 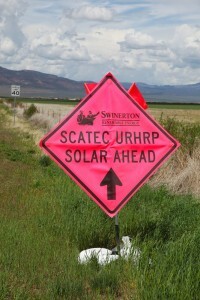 At the present time, Scatec does not have any plans to build in Washington County. This is so awesome! I want this in Washington County.